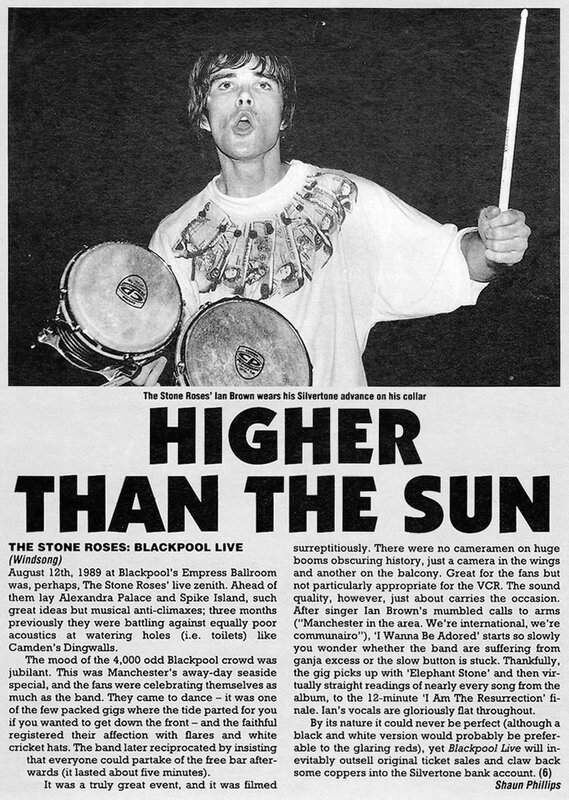 Talked about as the ‘gig of the year’ up here in t’North, will it be looked back on as the Stone Roses’ own ‘Shea Stadium’? 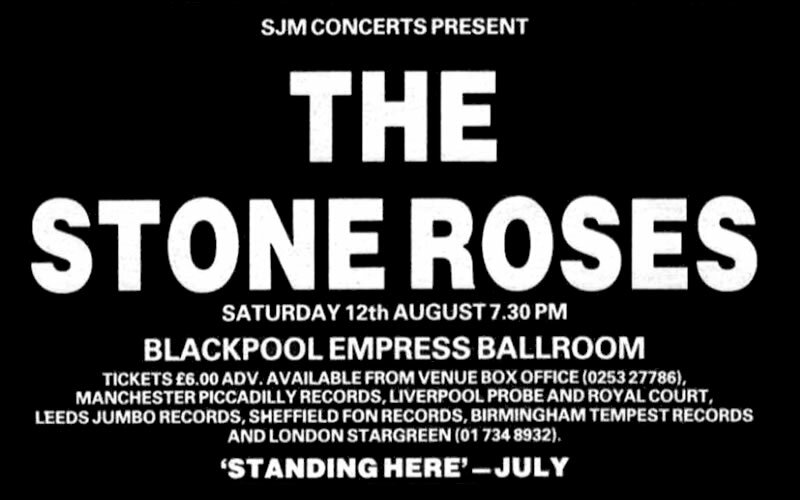 They’ll probably play the genuine article before long, but for now they had to be content with a stately ballroom more acustomed to ‘Come Dancing’ than this subversive pop ‘n’ roll thingy. The familiar strains of ‘Waterfall’ played backwards announce imminent arrival of those cheeky devils, and suddenly 4,000 sweaty bodies turn to the distant stage. 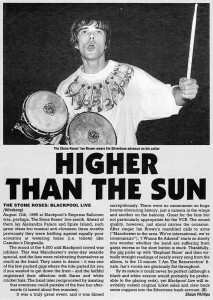 Ian Brown’s opening “Hello Blackpool” (or words to that effect) is a bit forward and familiar but these guys are massive. We’re talking near hysteria as the hottest wah wah pedal in town signals ‘Elephant Stone’. ‘Made Of Stone’ is similarly play to near perfection – it’s all done with consumate ease. Hendrix lives! 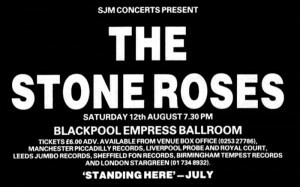 Resurrected in John Squire, he’s an influence much in evidence tonight, and effectively so in a setting of such grandeur. Lo and behold, once ‘She Bangs The Drums’ has been despatched with not a little aplomb, ‘I Am The Resurrection’ brings the proceedings to a fitting end, complete with crazy ‘getyourrocksoff’ instrumental funk- up. Ian stands by, fondling bongoes, whirling a sparkling yo-yo, sneering. Surprisingly, there is no more, but even without an encore, the melting masses are well satisfied. It’s funny… I hear that Manchester was strangely quiet that night.